7. Friedrich Hayer (1899) – Austrian philosopher: “Rumanians are the people of Europe which were born Christians.” (A few years ago the ambassador of Vatican at Bucharest, in the Academy theatre, said the same). 38. Robert Ballard, explorer (1999), confirms what William Ryan and Walter Pitman said. 50. Otrokocius: “That Priscus din not neglect to mention what were the languages spoken around Attila. He presumes by this, that some of the Huns, because of their links with the Romans, tried diligently to learn the Gothic language that is kindred with the Alanic and Ausonic. Whereas by Ausonic, they understand Wallachian, the corrupt Latin (vulgar). GET (pronounced ‘Jet’) = Earth-born. In Rumanian, the word ‘gețuitor’ (viețuitor) means ‘living man’. Earth = Geea/Gaia (Geb/Gebeleizis), the same way the word ‘peasant’ in Rumanian is ‘țăran’ which also means ‘man of earth’, where earth = ţărână (in Rumanian). Sarmatia/Sa(r)mo-Getia/Dio Getia = The Holy Land/Land of God/Land of the Sun – meaning the heart or the hearth of Old Pelasgian Europe. Here we have the Getic Sea (Black Sea), Sarmizegetusa Regia that was the capital and the most important military, religious and political center of Dacians. In translation Sarmizegetusa = The Getes of Sarmis/Armis, where Sarmis is the protector of this sanctuary. Named by the Greeks, Hermes. We also find here the Getic Pole (Polus Geticus) around which the skies rotate. Also there is a saying in Rumanian, ‘get-beget’ which means ‘from ancestor to ancestor’. About the language, following the same logical reasoning, we can speak of the Getic or Sermo-Getic language, although Pelasgo-Getic would also be a correct term. Djed = The forefathers of the first pharaohs of Egypt. Egyptians use this word Djed (pronounced ‘Jet’) when they speak of the ‘old ones’ that lived before them. Therefore this term has to do, not only with the Greeks. In Croatian the word ‘đed’ (pronounced ‘Jed’) means ‘grandfather’, which is another proof that the word ‘Get’ bears the meaning of ‘Old/Ancient’. Here are the main ethnonyms the Getic tribes had, depending on the territories they used to inhabit: Getulians, Ilergetes, Indigetes, Mysogetes, Tissagetes, Sargetes, Tyragetes, Samogetes, Massagetes, Geats, Getae, Jats (Northern India), Djed (Egypt), Tocharians – a branch of the Massagetes (Western China). As you can see, the Getes where everywhere. 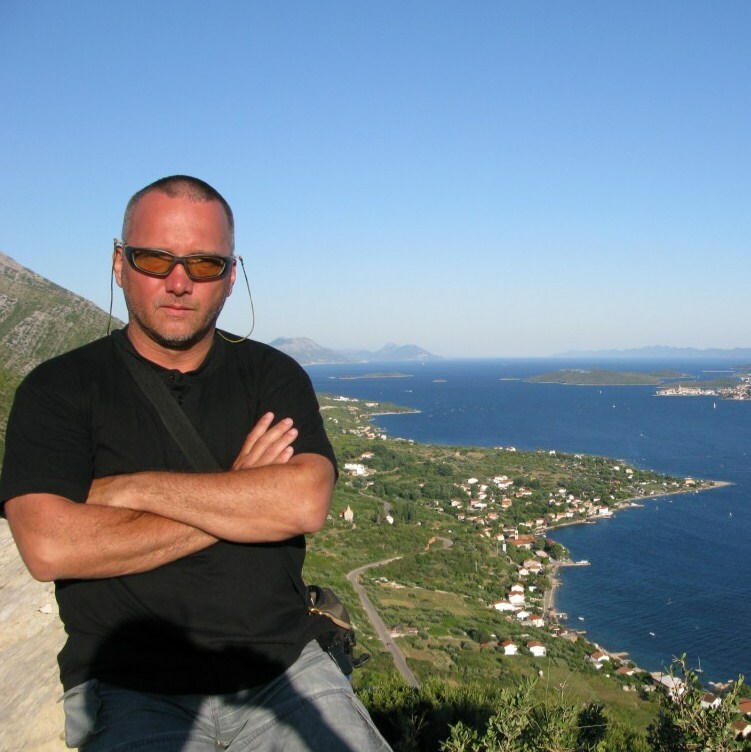 Dio Cassius speaks of Dacians only after 300 years when the Romans named the partially conquered territory, Dacia. But the people call themselves depending on the name of the region they live in. For example the people from Oltenia call themselves ‘olteni’, the ones from Ardeal ‘ardeleni’, the ones from Banat ‘bănăţeni’ and so on, but they are all Rumanians, just as the enslaved Getes from the Roman province of Dacia, which were named by the Romans ‘Dacians’, from the name of the province, not from the people’s own identity. To clarify this matter, we have a map by Pomponius Mela, made 63 years before Decebal’s death, in which he names the region from the north of Danube, how else? Sarmatia which is really Getia (Goethia). 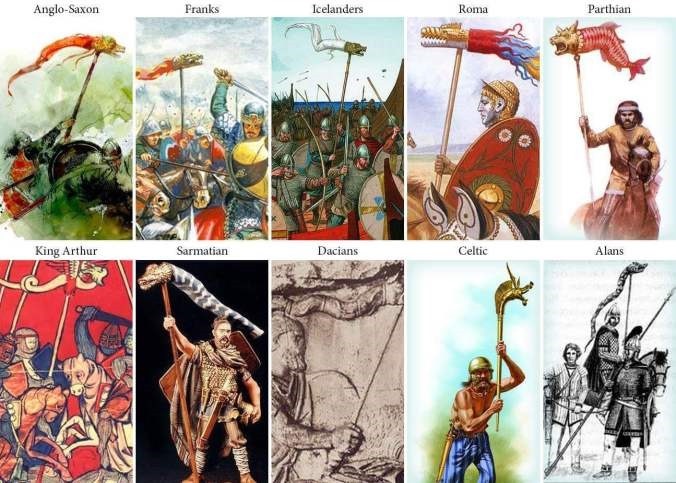 When we speak about Dacia and Dacians, we can only do it as a reference point in history, but we cannot identify them with these terms, as they only reflect a history that is not older than ca. 2.000 years. Dacia was only a part of Getia, only a Roman province, a late appearance in history, where the Dacians or Davo-Getes lived. We also find in other historical documents, terms almost lost in history, such as Gitia, Du Gitii (Dio Getia) or Arima, where the enigmatic Hyperboreans lived. But they had many names such as, Arimins, Ars, Rohmans, Aryans, Rumunians and later Rumanians (today Romanians), some of them being exonyms and some ethnonyms. About the term ‘Gitia’ we have as a reconfirmation of the sacrality of its name, the Vedic opera Bhagavad Gītā (pronounced ‘Geeta’) which means ‘Song of the Lord’ or ‘Divine Song’ that speaks about the noble Aryans (‘Deva’ or ‘Devi’ meaning ‘The Divine’) which invaded the rich land of India. Also we have the terms Deva/Davo/Dava/Daoi/Dioi/Dai/Daos/Danaoi/Dahae | ΔABO ΨETO – DAB(V)O GETO = ‘The Brilliant’ or ‘The Divine’ or ‘The Wolves’, but they also have the meaning of ‘inhabitants of Davas’, where ‘Dava’ = ‘Fortress’. All these terms are in fact epithets that describe the Getes. When we talk about wolves we can give as an example Apollon Lykeios the Hyperborean (the Lycan) which in translation means ‘The Light of the Wolf’ or ‘The Enlightened Wolf’. The exonyms ‘Dac’/’Daki’ were used by the Romans to describe the Getes. The same goes for the exonym ‘Thracian’ where the word ‘trake’ in Greek, really means ‘north’. ‘Thracia’ = The sum of all regions inhabited by the Thracian Getes or Thraco-Getes, meaning the Getes of the North (north of Greece). The word ‘Get’ is central to all native tribes. It is a shame the real history is so little known by the masses, because everybody is promoting great cultures by identifying them with exonyms given by the Greeks or the Romans. To demonstrate the Sanskrit resonance of the Rumanian language we shall use just a quick example: Rumân (Rumanian), mână (hand), a mâna (to lead/to take action), rămâne or rămână (to stay). Where we observe a similar form which suggests that ‘Rumanian’ also means ‘to stay’, meaning something that persists – continuity. Ramana – indian name. Ram(a) – Deity from the Hindu pantheon, in Rumanian ‘ramură’ or ‘ram’, means ‘branch’. In a village situated near the banks of the Danube, from Mehedinți County, Romania, the peasants use the following words to call for ducks or piglets: For ducks: MANI MANI (with repetition). Where ‘Mani’ resembles ‘Manu’, another deity from the Hindu pantheon, but also a Rumanian name, where Manu = Emanuel (E-Manu-El), in translation ‘He is Manu’. In Hindi the word ‘Mani’ also means ‘pearl’ or ‘jewel’. But the root ‘MA’, by repetition becomes MAMA, meaning mother. We have another Rumanian saying: “A dat iama în găini.” Meaning “Iama killed the hens.”, where Yama is another deity from the Hindu pantheon (the God of Death). This entry was posted in Aryans, Etnogeneza Rumânilor, Getae,Getes,Geti, Linguistics, PIE, Quotes, Transylvania and tagged Ardeal, Djed, Getes, Getia, Goethia, Goth, Jet, Old Europe, Romania. Bookmark the permalink. Yama is derived from tamizh word yaruma ( Buffalo!) which later became his vehicle!). The “r” sound was dropped by many early migrants out of the southern tip of India – the Old continental kumari ( not Lermuria!) into sumeria and mesopotamia. sakkara ( wheel) became saka. rAmA became lAma etc. Sanskrit or its proto seems to have gotten it round-about! Same with KOn – head of cattle herd in tamizh – with lots of that was considered wealthy -> leader -> konig(German) became King later. Even the “ar” plural seems to have made it – talk about a grammatical substance migrating! No, it was the other way round. DNA studies prove clearly R1A migration from N or Black Sea to East than south to India. Original words in arian languages evolved into sanskrit words. R1A+R1B has a history of thousands of years before arriving in India.